Shots are fun and gambling is fun, so logically speaking, putting the two together can only result in the most fun, right? 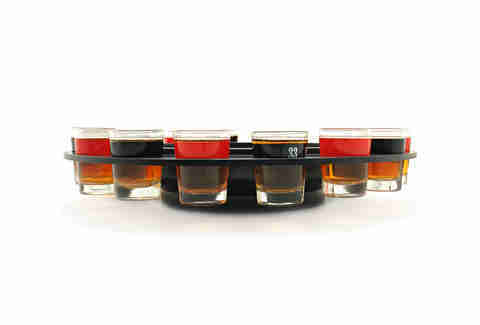 Doing just that is the Spin N' Shot Roulette drinking game. 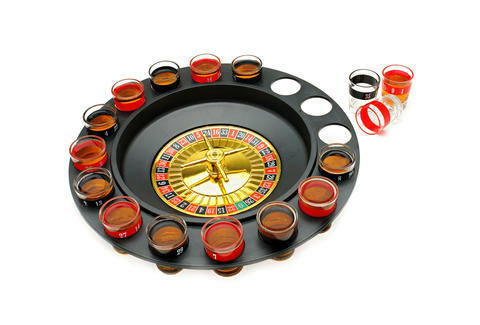 Out of the box, this drinking game comes with a spinning roulette wheel, two balls, sixteen numbered one ounce shot glasses, and the promise of a great night that you would most likely have trouble remembering. To play, you simply spin the wheel and drop the ball. If your number comes up, you empty your glass and refill for the next spin. And you thought your weekly game of beer pong got intense.